You only need 5 ingredients and about 20 minutes to get a hearty and delicious dinner on the table. 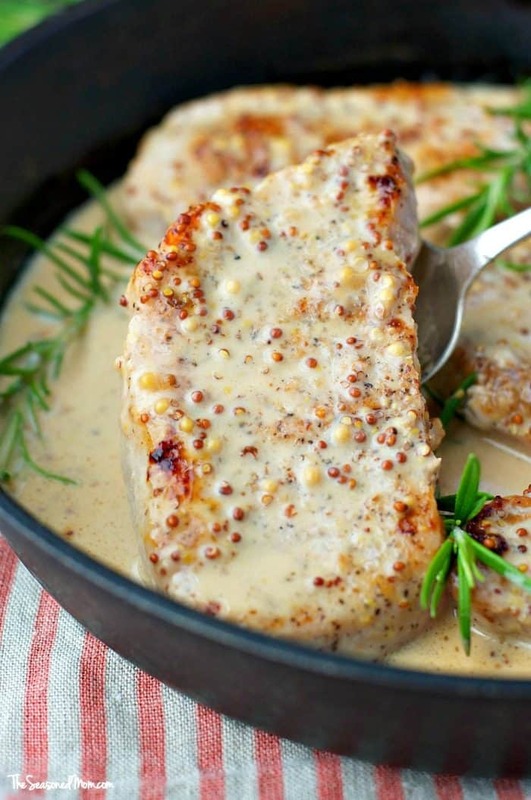 These Creamy Cider Dijon Pork Chops are an easy weeknight meal that the whole family will love! Hi, friends! It’s so good to be back! As you might recall, I blog at The Seasoned Mom, where I share easy, quick-prep meals for busy families. I truly believe that dinnertime doesn’t have to be difficult. At the end of a stressful, chaotic day, a simple homemade meal has the power to bring your family together and make you feel like Super Mom! Between soccer practices, homework, and commutes, the evening rush is already crazy enough. Simplify mealtime with a cozy and family-friendly weeknight dinner that comes together in less than 25 minutes. 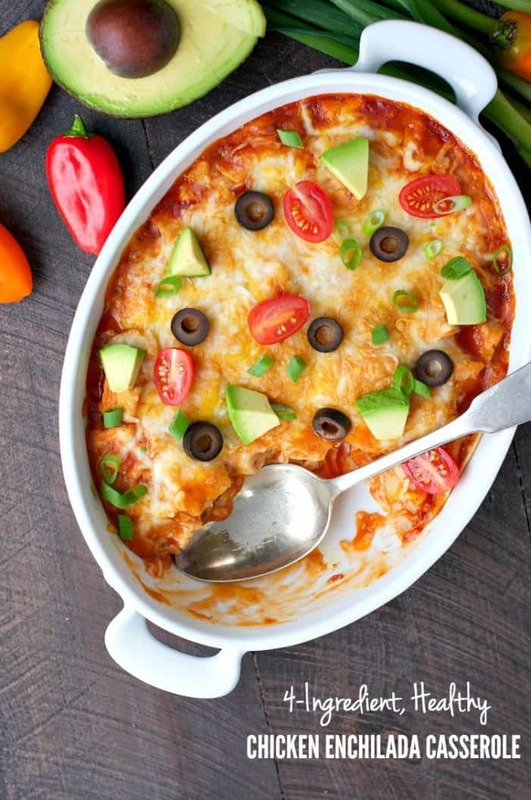 Plus, this dinner only requires one pan…making clean-up a cinch! And there’s really no need to create any extra work for yourself — just open up a jar of applesauce (warmed in the microwave if you like) and slice a crusty loaf of bread to serve alongside. 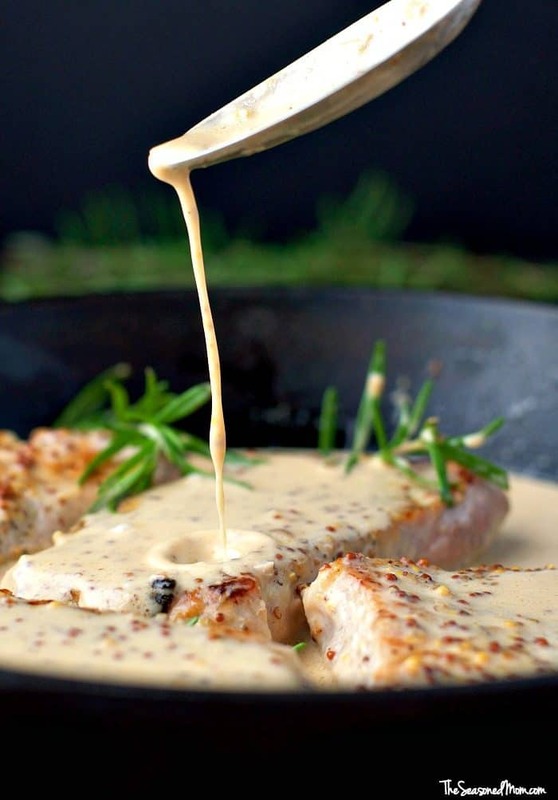 You’ll want something hearty to soak up all of the rich sauce! 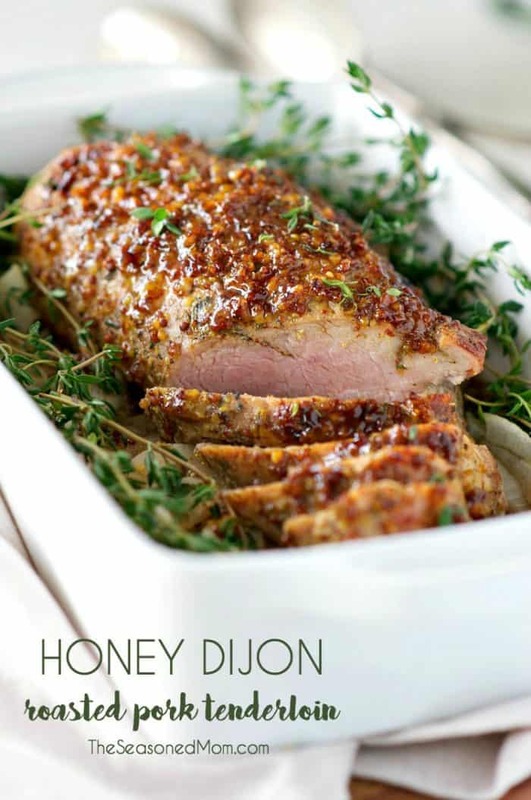 You only need 5 ingredients and about 20 minutes to get a hearty and delicious dinner on the table. 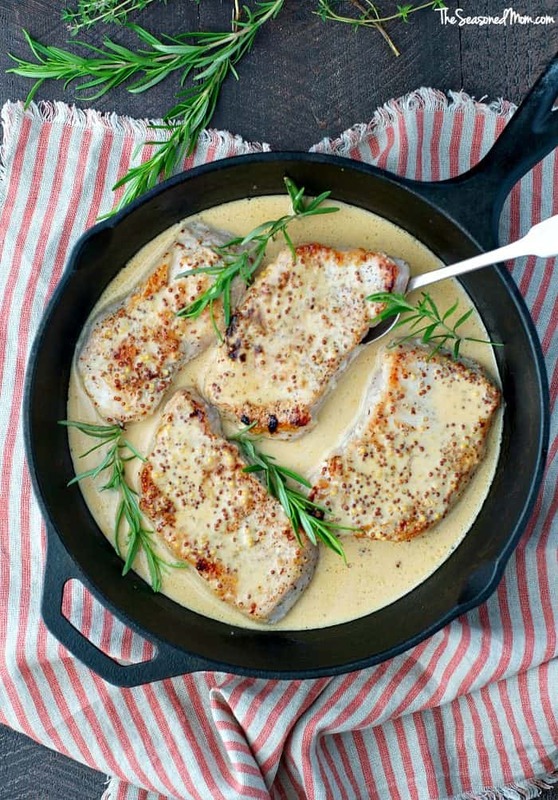 These Creamy Cider Dijon Pork Chops are an easy meal. Heat about 2 teaspoons of olive oil in a large skillet over medium-high heat for 1-2 minutes. Swirl to coat the pan. Add garlic and cook, stirring constantly, for about 1 more minute. 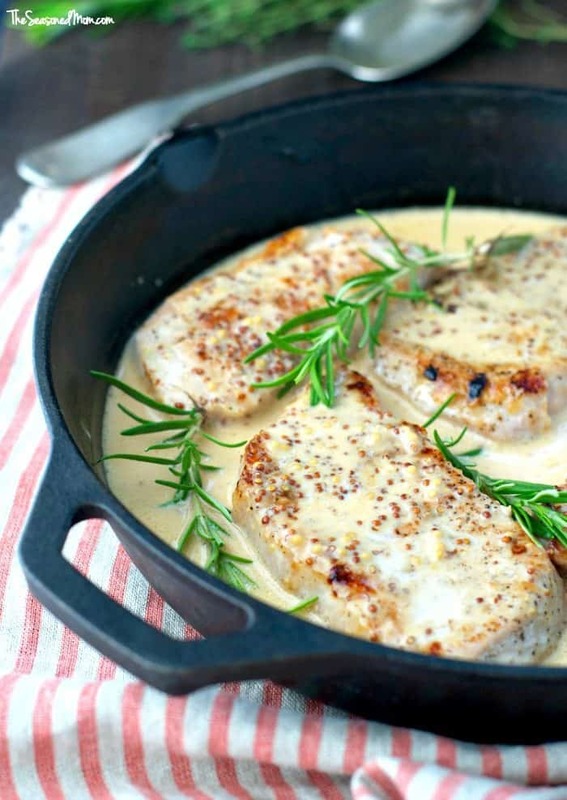 Add chops to the skillet and cook for 5-7 minutes per side, or until cooked through. Remove chops to a plate and set aside. Pour cider into pan and scrape up the bits as you stir. Let the cider simmer for about 1 minute, then add mustard and stir in cream. Cook sauce for a few more minutes, then pour over chops and serve. Garnish with fresh rosemary, if desired. 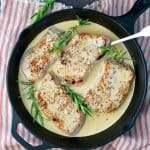 Looks like a lovely, simple to make, family meal! This looks so delicious! I would make it tonight if I had all the ingredients. Hey, can you substitute hard apple cider for regular apple cider? 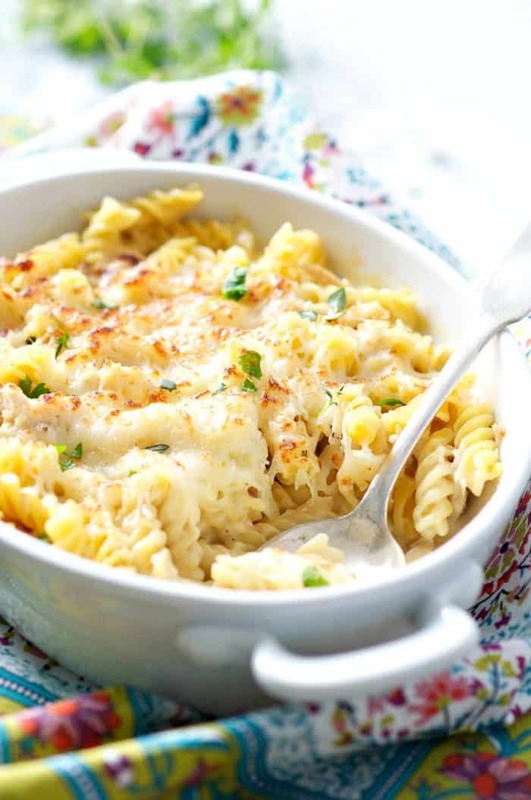 Could you use half and half instead of heavy cream in a pinch?